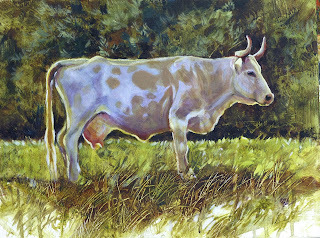 Janice Robertson's art: How now purple cow? This little 12 x 16" painting is bound for the Western Art show at the Calgary Stampede. 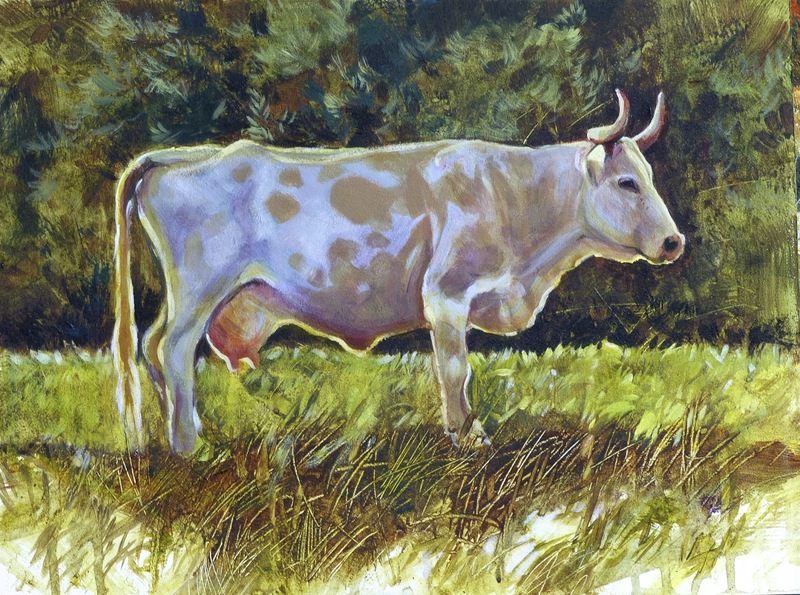 It's acrylic on panel and uses a combination of textural techniques with small brushwork and many layers on the cow. Don't have a title yet but maybe "Purple Cow".